Charlotte’s modern city center is home to six Fortune 500 companies. It ranks third most banking assets after New York City and San Francisco. It is a highly walkable city and the most populated in North Carolina. Even with its vast offerings, it allows for that small town feel with all the amenities. 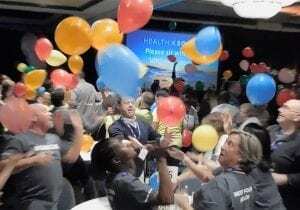 With a 550,000-square-foot Charlotte Convention Center and over 5,000 hotel rooms nearby, your company can host their next Charlotte team building. An ideal destination for groups of any size. After a day of meetings, your attendees are just steps from the local arts, culture, sporting events, nightlife, restaurants and a plethora of activities. With easy accessibility, unique venues and exciting attractions, Charlotte is a top-notch destination for meetings, conventions and team building activities. 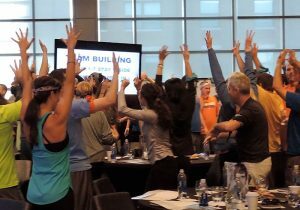 Best will deliver team building that’s both exciting and memorable. Experience the beautiful North Carolina weather with outdoor events like Team Olympics or a Go-Kart Competition. Take advantage of charity give-back activities like Bike Build Donation™ to forge stronger bonds between your team members while helping local charitable organizations in Charlotte. Would you like to explore the area’s sights more intimately? 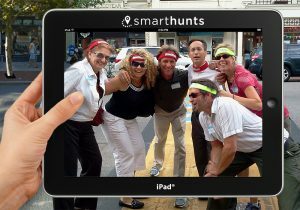 We’ll provide the iPad® devices to navigate one of our fully customizable City SmartHunts®. Get to know the Levine Museum which details the post-Civil war history in the South. Or most notably, Charlotte is home to NASCAR Hall of Fame. It is here that NASCAR celebrates the sport of auto racing through interactive exhibits and films. 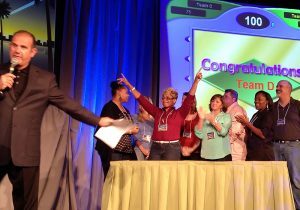 Get your group thinking smart with a Competition to Collaboration event. We provide more than 50 programs meticulously designed to enhance teamwork through laughter, joint efforts, and communication during your stay in Charlotte. With its beautiful weather, comfortable downtown scene and venue options, we look forward to a successful event with you in Charlotte. We pride ourselves on building successful and innovative group programs. The best thing about our events is the ability to tailor activities to your own team needs. 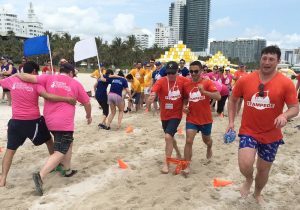 But sometimes you need some inspiration, so we have collected a few of our most fun and successful team building activities here for your perusal. 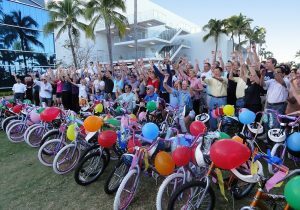 Our most popular type of team building is Charitable programs, those that give-back to the local community. Learn why it’s so important to give back on one of our most recent blogs here, WHAT INSPIRES YOU TO GIVEBACK?. 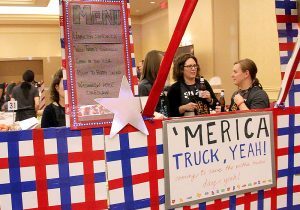 We offer the best team building events in Charlotte, with results that our clients love so much, we have a 5 star rating and some of the best comments and reviews around! We have over 1,000 client comments and videos on the pages of our website to assure you that you’re getting the BEST event for your group.